At the end of his life, after decades of painstaking research, Aur has finally achieved his dream of ascending to the role of Demon King. Using his newfound abilities, he summons an alluring succubus known as Lilu to serve him, and immediately begins the task of creating a dungeon--an underground kingdom in his own vision, filled with all manner of fantastical creatures. As he weaves the intricate and dangerous world of his dungeon, he’ll learn what it takes to become a true Demon King, with all the troubles, trials, and titillation that come with it. And his enemies will cower in fear! Yakan Warau is an author best known for the light novel series, How to Build a Dungeon: Book of the Demon King. 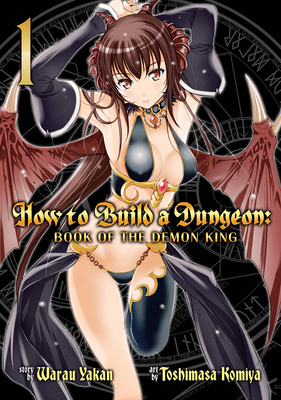 Toshimasa Komiya is a manga artist best known for How to Build a Dungeon: Book of the Demon King.